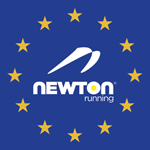 We’re hugely excited to announce that both Leah and I have been selected by Newton Running to be Ambassadors for Europe 2017! I’ve been running in Newtons for many years, from when they were first released and switched to marathon running in them from 2012 onwards. 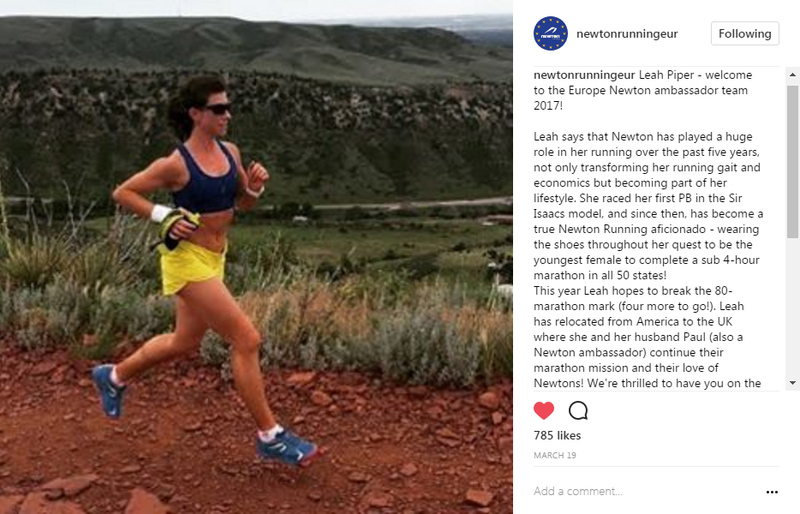 When Leah started distance running I convinced her to try them over her traditional shoe and she’s never looked back since. They have changed our form, efficiency and helped to keep us injury free. We couldn’t be more proud to be Ambassadors for a brand that we truly believe in and a product that has allowed us to run marathons all over the world, including for every marathon of our 50 States in under 4 hours quest. We’re always happy to talk about the shoes, the running form, what cadence is and steps per minute. Just ask! We have gradually changed our running style from a heel strike, the most common form of running, to a mid/forefoot form, aiming for a cadence of 180 steps per minute. We’re still not perfect but we keep improving in every run. Our Newtons have a 2.0 or 3.0 mm heel-to-toe drop which feels more natural than a built-up shoe and allows for a more efficient running form. As Ambassadors we look forward to sharing news of the latest products and reviews of the 2017 models of shoes. If you’re at any races and spot us in our Newton gear, come and say hello! 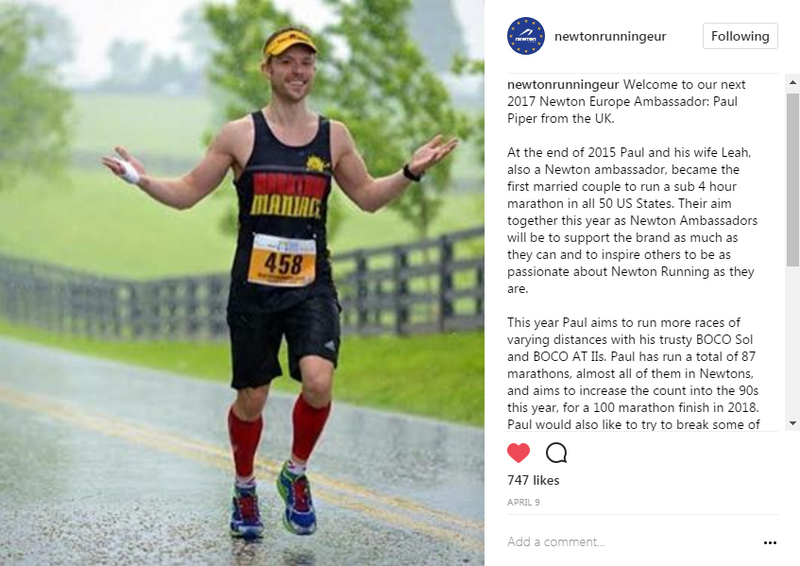 Posted in Announcements and tagged 2017, ambassadors, europe, newton, newton running.